Perfect for decorating Chocolate boxes Presents Displays Flowers etc. These bows are delivered as a flat piece of material so no chance of damage in the post. Just pull the 2 central pieces of ribbon and the bow forms itself as if by magic. 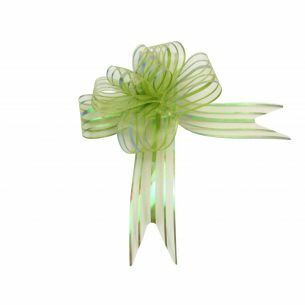 These bows are delivered as a flat piece of material so no chance of damage in the post. 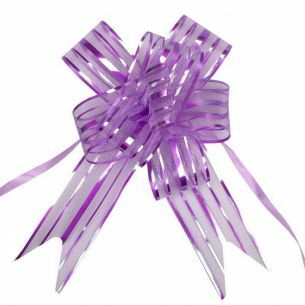 Just pull the 2 central pieces of ribbon and the bow forms itself as if by magic.